In this release we feature a special issue on sonification and the February issue of InsideOCULA. Sonification is the use of data to create sound which in turn creates information or meaning. Three articles provide different perspectives on this emerging and important application. Jack Jamieson provides some background on data and sound, and then describes some intriguing sonification projects in What Does Data Sound Like? An Overview of Data Sonification. William Denton reports on a library related project he has bee working on in STAPLR: Sounds in Time Actively Performing Library Reference. Katie Legere discusses how data is made into music in There’s Information in Music and Music in Information and uses a fruit salad (!) as her example. And finally, this release of Open Shelf includes the February issue of InsideOCULA. 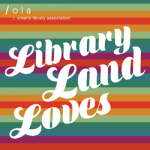 The newsletter of the Ontario College and University Libraries Association contains stories about Library Day at Queen’s Park, The Third Government Information Day in Ontario, OA policies, digitization projects, and Lego!